As the weather starts to warm up, fleas build up in numbers. These wingless bloodsucking insects cause itching, scratching, allergies, anemia and transmit tapeworms in our pets. 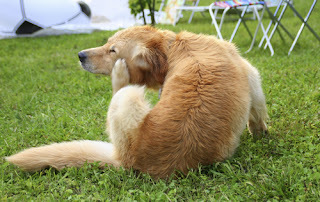 Effective flea control involves treating the fleas on the pet as well as in the environment and should commence now if you don’t already have a flea plan in place. Preventative action all year round is of course the best way to stop any fleas building up to uncontrollable levels. For all the information you need to know for beating fleas this spring check out the latest newsletter article! Click here to view our range of flea treatments for cats.